Jesse James Inigo "is a South Florida cop within the Treasure Coast who has been on the job for over a decade. He was born in May of 1975 and raised in Bronx, New York. With his tough-as-nails wife and three boys by his side, he makes a conscious attempt to stay grounded while balancing his family, work, and faith. Throughout his career, Jesse has been fortunate enough to work in the capacity of a Field Training Officer, SWAT Sniper, and Major Crimes Detective. Nowadays, he serves his department in the capacity of a Road Patrol Sergeant. There is rarely a dull moment on the job and rumor has it he misses being a Detective most. He never knows what types of calls the day will bring. From homicides, to sexual assaults, to even the occasional barking dog complaint, there isnt much he hasnt seen or done. Like most cops, his experiences have changed him. 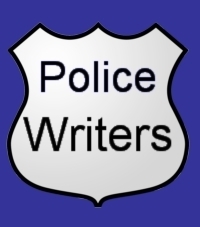 So Jesse, the street-savvy author he is, offers his readers a true insider view into what some cops may be struggling with the images." Jesse James Inigo is the author of Bound by the Badge. According to the book description of Bound by the Badge, "When veteran cop Mitch Bronson finds himself alone, in a fight for his life, he risks being killed in the line of duty. With hope fading and his will to survive tested, he knows theres only one way out he has to pull the trigger. But when his actions are scrutinized by the media, allegations of police brutality and excessive force circulate and he soon finds himself in another fight a fight for his freedom. He has one chance to convince the grand jury of his innocence, but to do so means reliving that fateful night all over again. With everything to lose, will his actions be justified? Or will he be indicted and risk spending the rest of his life behind bars? A suspenseful thriller of survival, self-reflection, and unforeseen consequences, it will win you over and keep you on the edge of your seat."